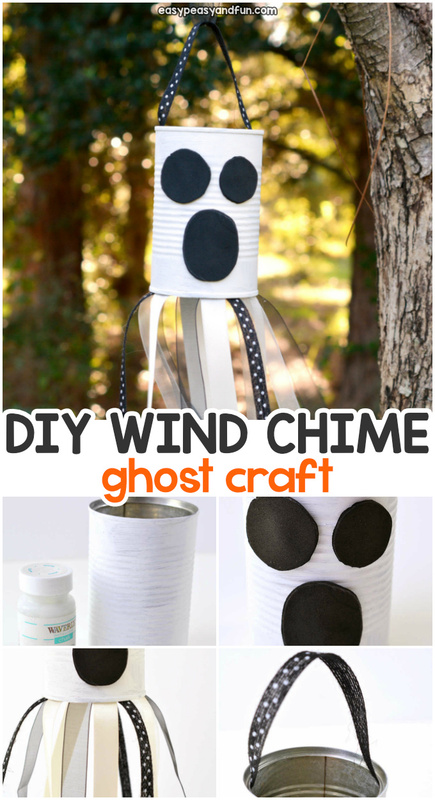 Recycle and make a wonderful Halloween decorations with your kids – make this DIY wind chime ghost craft. 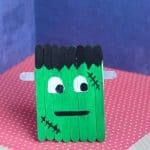 This project has to get on your Halloween crafting list, it’s simple to make, looks great and can be used for years to come. 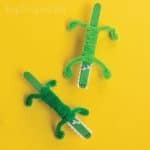 Recycled crafts are always great – not only do they give new life to old things, they are also inexpensive to make. 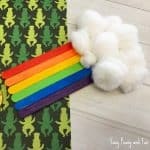 This one can be made by using scrap ribbon, or you can even make use of an old t-shirt, cutting long strips of fabric to replace the ribbons. 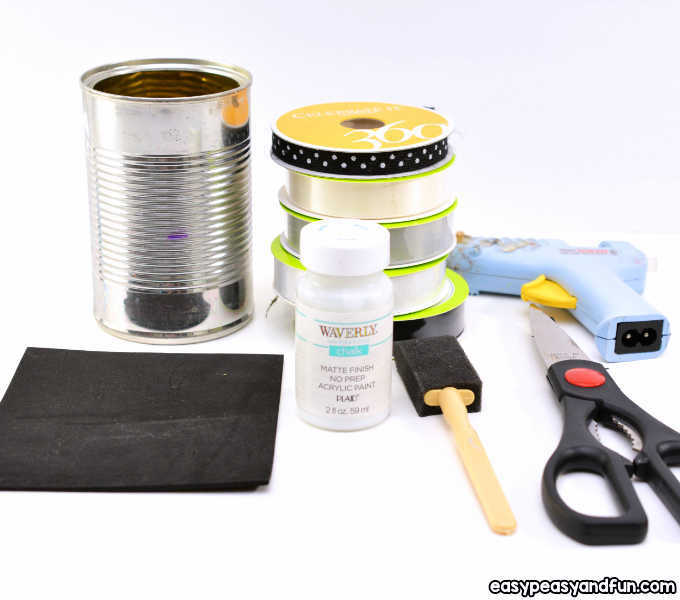 Begin by painting the outside of your empty tin can white. 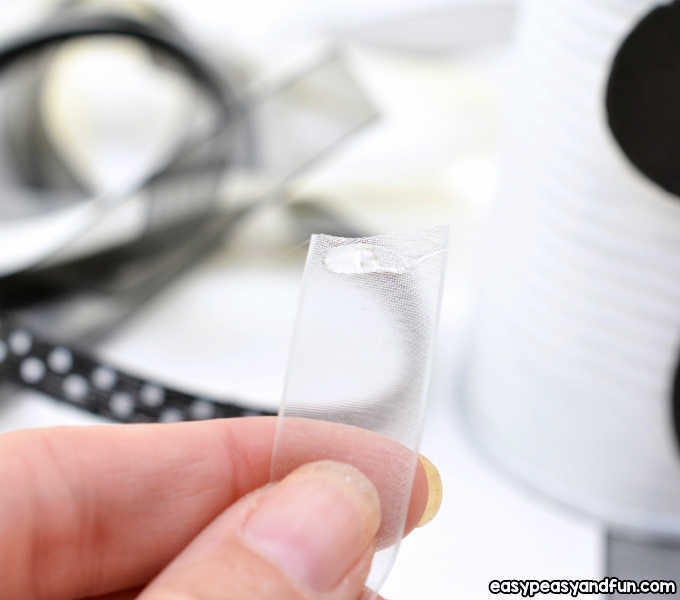 Make sure the can is completely clean and dry, and that all signs of the label have been removed. You can hold the inside of the can on your hand and turn it around while painting to avoid a mess. We used white chalk paint because it dries quickly, but you can use whatever craft paint you have on hand. 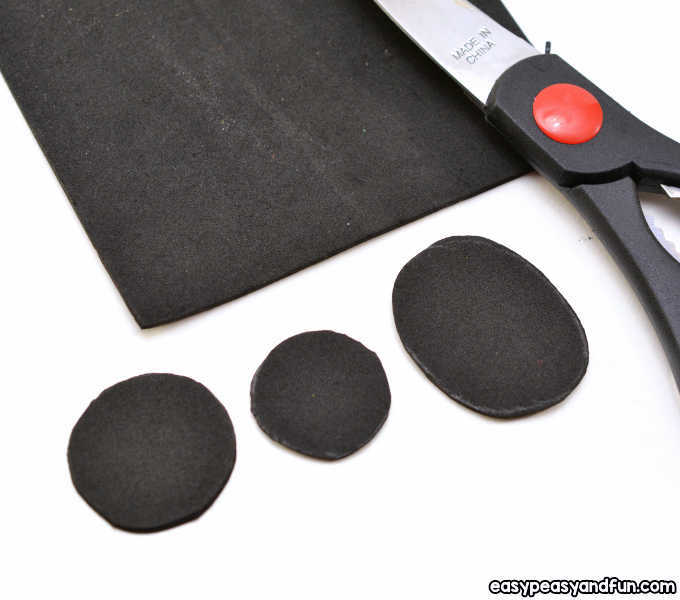 Once the paint is dry, cut out two round eyes and an oval mouth shape from some black craft foam. 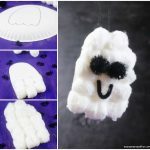 We wanted to give our ghost a playful look, so we used two eyes that are different sizes. 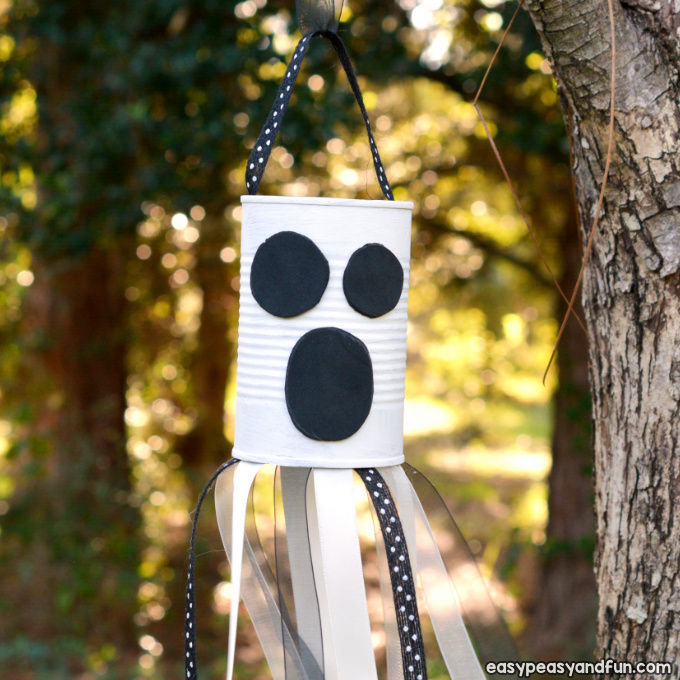 Glue the eyes onto the front of the painted tin can. 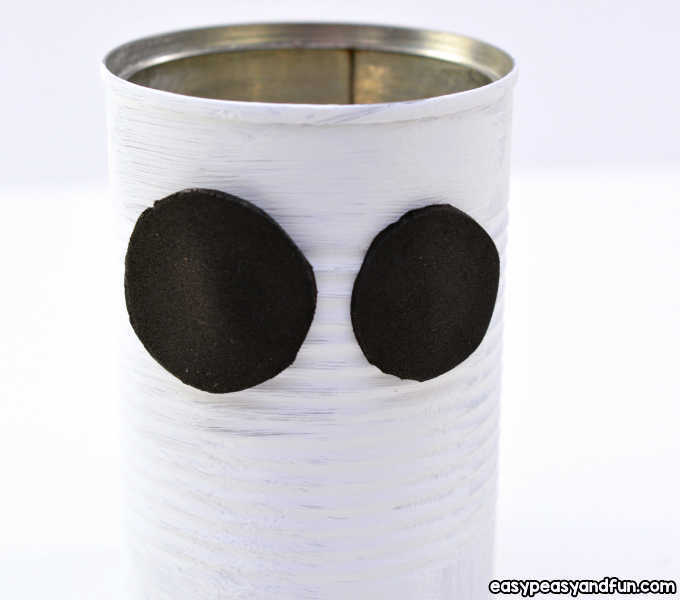 Be sure that the top of the can where the lid once was is facing up. 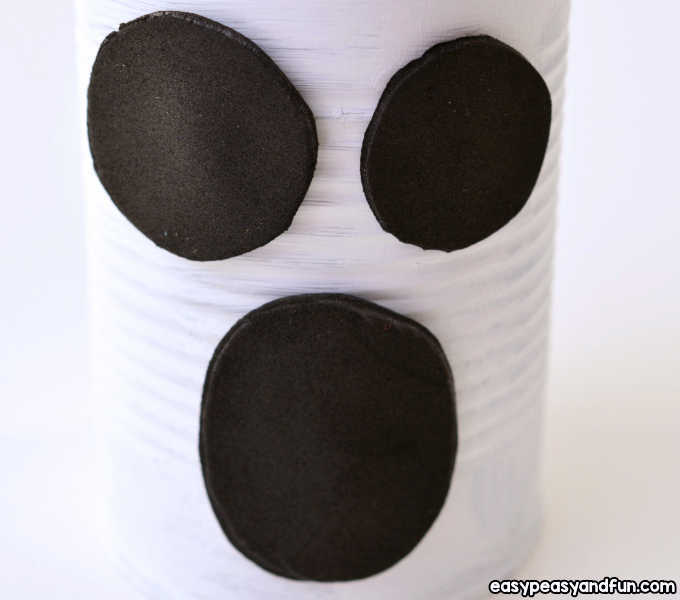 Use glue to attached the oval shaped mouth to the front of the tin can underneath the eyes. 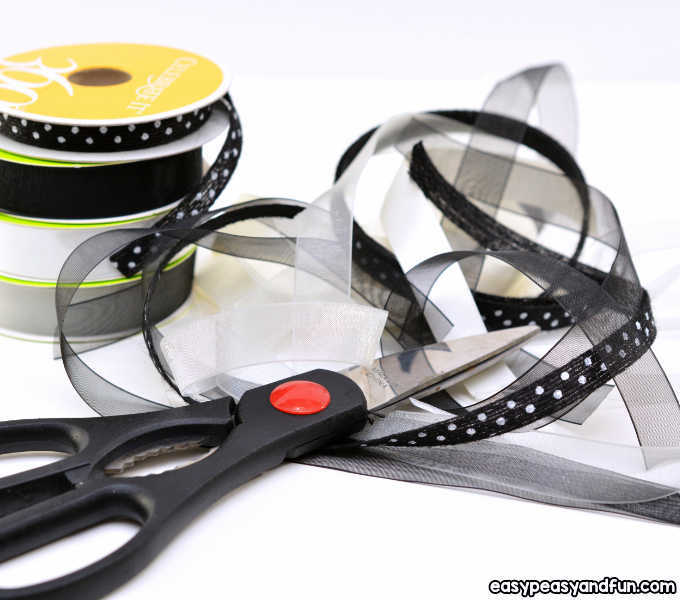 Cut long strips from the different types of black and white ribbon. 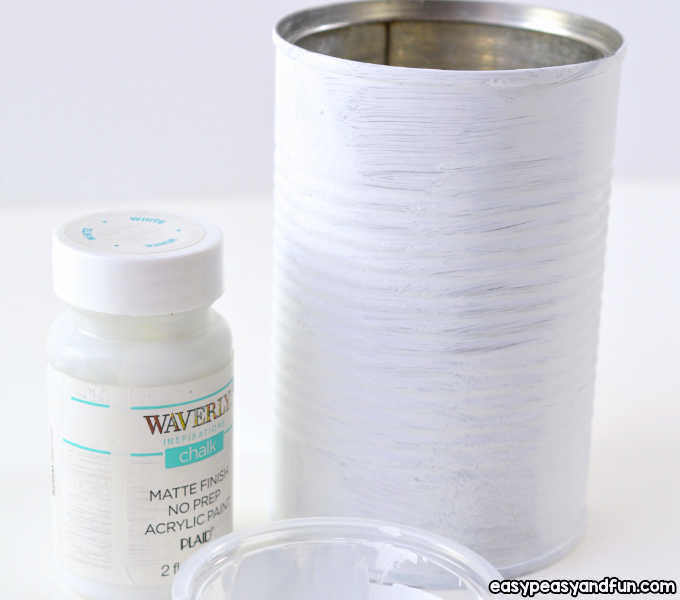 Glue the strips to the bottom of the tin can so that they hang down. 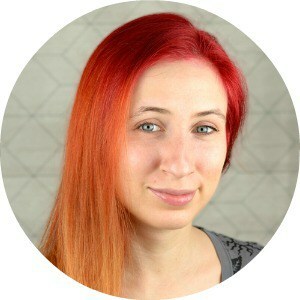 You can cut them to your desired length. 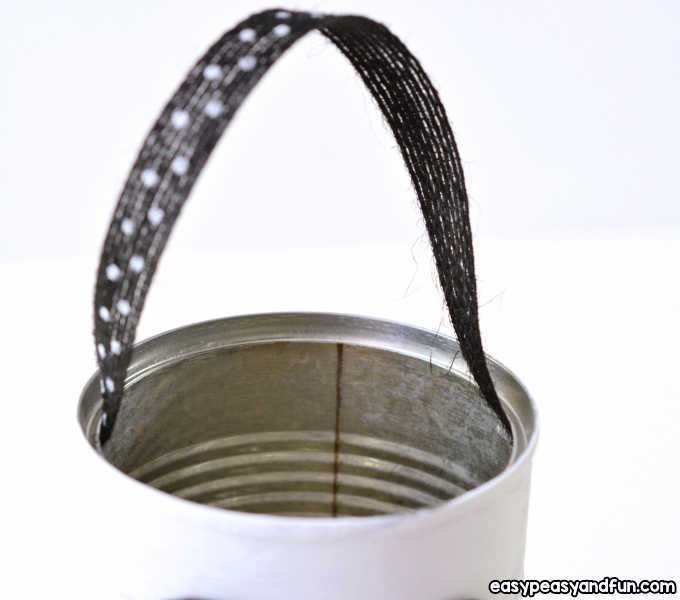 Cut a small length of ribbon, and glue it to the inside of the top of the can horizontally. 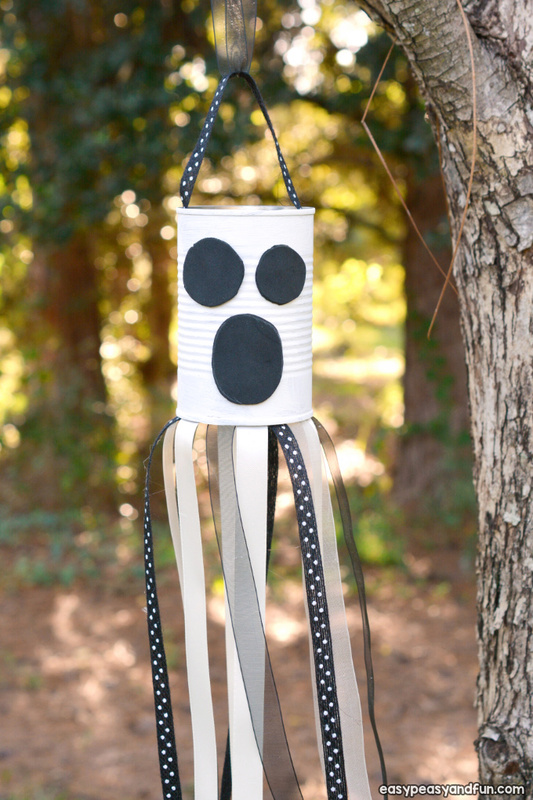 This will serve as a hanger for your ghost windsock, and will make it hang evenly, instead of tipping from side to side. 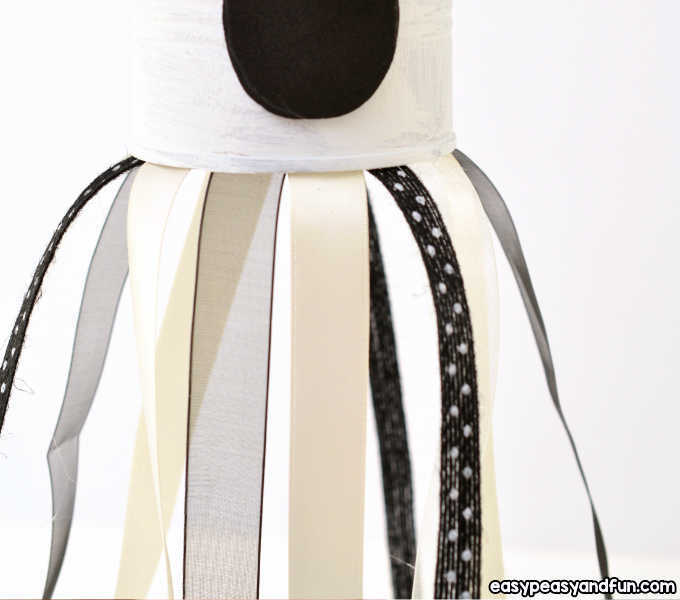 Run a longer length of ribbon through the glued loop at the top, and tie it closed. 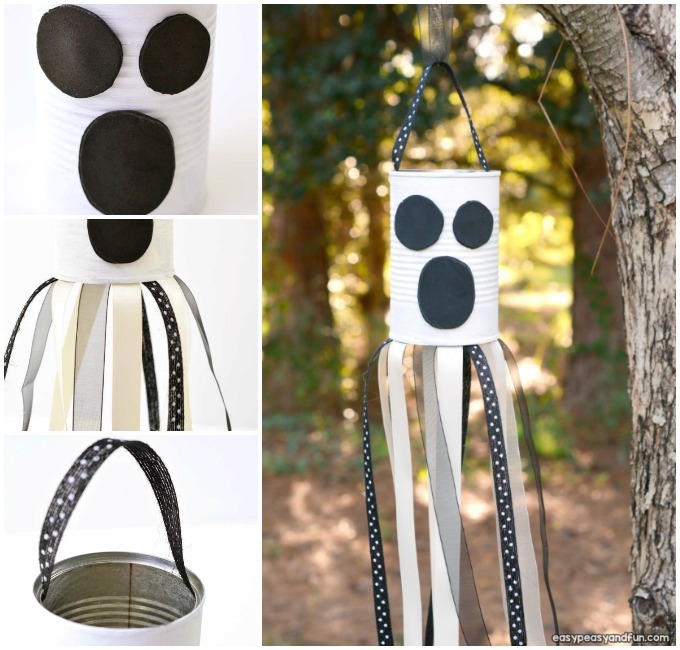 Now, you can hang your windsock on a tree or inside your home for a festive holiday decoration.